It is a pear-shaped organ that sits just below your liver on the upper right side of your abdomen. Your gallbladder collects and stores bile — a digestive fluid produced in your liver. A cholecystectomy is most commonly performed to treat gallstones and the complications they cause. -Gallstones in the bile duct. -Pancreas inflammation (pancreatitis) due to gallstones. What is the treatment of gallbladder inflammation(cholecystitis)? 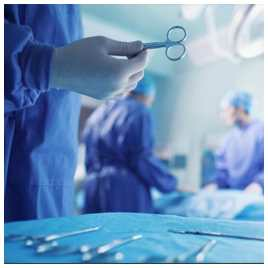 The best treatment is cholecystectomy either by open surgery or by an endoscope. 1-Infection within the gallbladder: If bile builds up within your gallbladder, causing cholecystitis, the bile may become infected. 2-Death of gallbladder tissue: Untreated cholecystitis can cause tissue in the gallbladder to die (gangrene). It's the most common complication, especially among older people, those who wait to get treatment, and those with diabetes. This can lead to a tear in the gallbladder, or it may cause your gallbladder to burst.